Discover How Thieves survived the Black Plague and How You Can Use This Knowledge Today! My journey with essential oils began ten years ago. It was Winter and my respiratory tract was infected again; it was clear that my immune system was weak. Drugs, and over-the-counter products had no effect. A friend saw my condition and offered a blend of oils, consisting of the oils of Clove, Lemon, Cinnamon, Eucalyptus Radiata and Rosemary. A pleasant surprise followed, in several hours I felt better and my breathing functions returned to normal. I have not used Drugs in the past 18 years! This essential oil blend was created from research about thieves during the 15th century in England who rubbed oils all over their bodies to protect themselves from the Black Plague while they were robbing the dead and dying. The assumption was that these oils protected them from the plague. This blend of oils, oddly enough, is now a brand that goes by the name of the Thieves blend. Let's jump to today and consider the health crisis we are facing everyday in our fight against bacteria, virus' and other underworld figures from the microcasm. 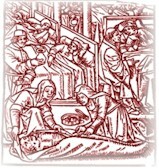 The plague happened in the 15th century. Now consider these events which happened as recently as March 1998, right out of USA Today! My thanks to Jim Lynn for allowing me to use the below material published in one of his newletters. During March of 1998, in Texas, fear of a deadly outbreak of a fast-acting bacteria has families in near panic. 19 people, a third of them children, died in Austin and Houston since Christmas from a bacteria called streptococcus. A special hot line was set-up and is fielded 300 calls a day from concerned citizens. The concern was over two severe forms of strep, a "flesh-eating bacteria" and the other which causes toxic shock syndrome. In Illinois, the same thing happened. 10 people died in Decatur from the same deadly form of bacterial outbreak. 2 deaths were also reported in Chicago in February. Other outbreaks were reported in California, Washington and Massachusetts. Health officials simply do not know how to stop streptococcus, or why it kills some people while causing only a mild illness in others. James Musser, Director of the Baylor College of Medicine's Institute for the Study of Human Bacterial Pathogenesis, said, "I understand the public frustration. I've been studying this organism for a decade, and I'm frustrated." Dr. Musser's frustration is shared by millions. Why is it that so-called "modern" medicine is so helpless against such simple, yet deadly life-forms? The simple answer is that modern medicine looks to unproven patented medicine for health solutions, rather than to proven natural remedies. Modern medicine has chosen to follow the practice of treating disease with man-made antibiotics and chemical drugs. If these man-made inventions worked, fine...but they do not work. Time, agonizing side-effects and thousands of premature deaths, each year, painfully bare this out. Man-made chemical drugs and antibiotics are, at best, band- aid approaches to solving the health crisis in America. Yet, inspite of repeated failures, the medical community continues to use these failing modalities to fight disease outbreaks, such as in the case of streptococcus now facing us. To wit: In Texas a 3 year old boy, who has the flesh-eating form of strep, is being given massive doses of antibiotics. Why? This modality is the only one his doctors know, or are trained in to fight infectious organisms. There is an answer to staphylococcus, streptococcus, meningococcus, pneumococcus, anthrax bacillus, thyphoid bacillus, diphtheria bacillus, and a host of other bacterial infections, but it isn't to be found in your doctors medicine chest. Mother nature's medicine chest is a marvel to behold. For within this chest are the very provisions needed to prevent, protect and heal human beings from bacterial infections. No longer speculation, but proven by standard, clinical studies, essential oils are mankind's answer to bacterial infectious outbreaks from striking your loved ones. In studies conducted at Weber State University, the essential oils of cinnamon, geranium, lemongrass, melalueca, mt.savory, oregano and rosewood all proved 100% effective against streptococcus and staphylococcus. In studies completed in Europe, the essential oil of thyme proved 100% effective against anthrax, thyphoid, diphtheria, and Koch's bacillus...as well as meningococcus. The essence of lemon oil proved 100% effective against pneumococcus, staphylococcus and diptheric bacillus. It is the staphylococcus bacteria that infects and kills 000's of people who contract infections while staying in hospitals. All of the above named organisms kill thousands of people yearly. So why hasn't our American health community turned to this proven and readily available aromatherapy solution? Perhaps this is a question you should ask your doctor. Bacterial infections are spread from airborne bacteria and by touching surfaces infected with these organisms. The very air we breathe may be contaminated from someone else's sneeze or breath. Touching a telephone or ATM key pad may spread these bacteria. Anything someone else has touched can be contaminated with bacteria. We come into contact with these organisms daily and bring them home with us. For the most part we are never aware of this because our body's immune system is always on the job, daily killing and over-powering invaders. But what happens when someone's immune system has been compromised? Unless the immune system can overpower the invasion, invaders continue to multiply until they have created a stronghold called an infection. Once established, the infection can worsen until the body itself is overpowered by the infection and can no longer support life. There is no better way to prevent and protect your family from bacterial invasion then through aromatherapy, the use of essential oils. While food supplements can strengthen the body's natural healing system, they cannot prevent and protect the the body from bacterial invasion the way that essential oils do. This is one reason why essential oils have been used since the beginning of time...They are nature's health insurance program against pathogenic health disasters. Application is made in one of two ways, diffusion and direct application. When essential oil is diffused into the atmosphere of a home or office, the air becomes purified, purged of harmful bacteria, fungus and mold. The effectiveness of this procedure is 100% and is like one of those used in studies by Weber State University. Essential oils kill/destroy infectious bacteria within seconds of contact. In addition, aromatic molecules are breathed into the body, where they trigger numerous immune-boosting, healing and relaxation responses. This combination one-two punch is the best health insurance one can have against infectious disease. Diffusers come in various styles and work in various ways, but the most effective ones use a glass nebulizer which is attached to a small aquarium style air pump. Depending on style, the nebulizer may be attached to a bottle containing essential oil, or have an opening to add them by the drop. Diffused by vibration and pushed by the force of air within the nebulizer, a fine mist of oil is released into the air where it remains suspended for up to several hours. There is no set procedure or time schedule for using a diffuser, but many families diffuse three times a day for 10 to 30 minutes each period. The benefits are immense when one considers the health hazards we expose ourselves to daily. Families with school children can decrease chances of bacterial contamination by applying the oils directly on their children before leaving for school. This is an ancient practice, known long ago as a blessing. The oils penetrate the skin and go to work within the body as effectively as diffusing does. Use caution: Pure oils are very concentrated, and a few drops can produce significant effects; so please begin slowly to properly determine the body's response. Pure oils should be diluted with carrier oil for those who are first time users; who have fair or sensitive skin; or are being applied to sensitive areas of the body; or are trying a new oil for the first time; or who are infants or children. Download users guide here. KNOWLEDGE IS POWER! Your health is nothing to leave to chance. We live in times of strange diseases with a medical community left wondering how to stop them. Use the knowledge you learn to prevent and protect your family from health disaster. Continue to visit your physician when needed, but understand his/her limitation working in a system heavily weighted against natural healing. Bio/Tech News, Natures Amazing healing Oils, Portland, OR. Your e-mail address is totally secure and your privacy will be protected. Your personal info will be protected. 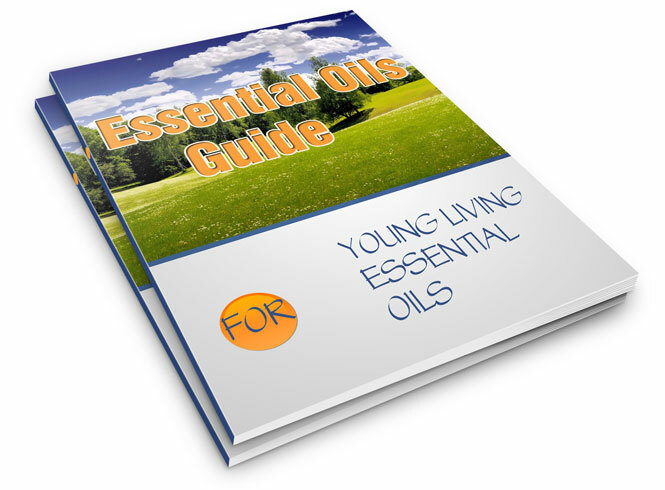 News, Notes and tips about application of essential oils in the daily experiences of users and practicioners of aromatherapy and essential oils therapy. Lavender oil - from LAVENDER - (Lavandula angustifolia) is the most versatile of all essential oils. Therapeutic-grade lavender has been highly regarded for the skin. Peppermint Essential oil is one of the oldest and most highly regarded oil for soothing digestion.